Join us in helping to feed food-insecure families! We are very excited about our newest program that is having such a wonderful impact on hunger in our community. The FRESH! 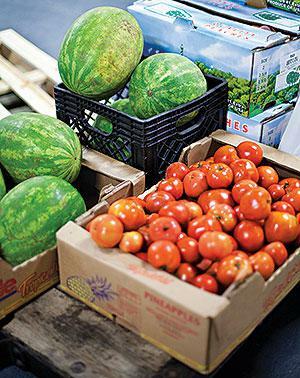 Rescue Program is a collaboration with St. Vincent de Paul Food Pantry & the 10th Ave. S Albertsons to supply out-of-date fresh food to local pantries & kitchens in Great Falls, MT. Each month is averaging about 7000# of fresh food - food that would otherwise have been discarded as "waste" and been thrown out. This program is new, and we hope to expand as we find ways to involve both more grocery stores and more recipients. At this time, the Boys & Girls Club (Great Falls & Belt), Mercy Home, The Great Falls Children's Receiving Home, and the Juvenile Detention Center are receiving fresh food from the FRESH! Rescue Program. Healthy kids, healthy futures! Summer in the Garden - A "Happy Place"
The Westside Orchard Garden (WOG) is in full celebration when school is out and the kids are back in the Garden. 2018 will be our 6th year of Summer in the Garden. 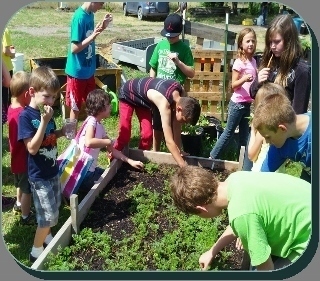 Boys & Girls Club youth, the Salvation Army Youth Program, the Cameron Family Center (Rescue Mission), the mental Health summer Youth Program as well as homeschool youth all had gardens in the WOG in 2015 - about 150 gardeners every week learning about fresh food and healthy eating! 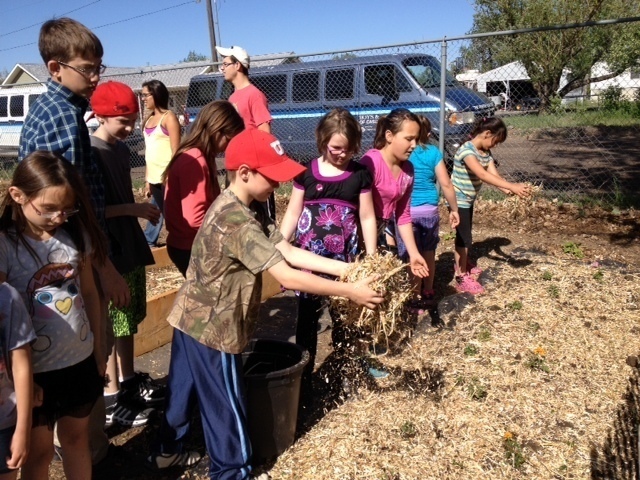 As one of our 3rd graders said, as she walked beside the gardener to harvest, "You know, the garden is my happy place!" It's our happy place, too, when the kids are all there. Please check back for more ways to get involved!